Techstars Startup Weekend Women APAC #SWWomenAPAC is a series of techstars startup weekends held across cities in asia pacific – during the month of september – focused on engaging and celebrating women + diversity + inclusion in local communities. And Manila is hosting one on September 21-23 at Commune, Makati City! 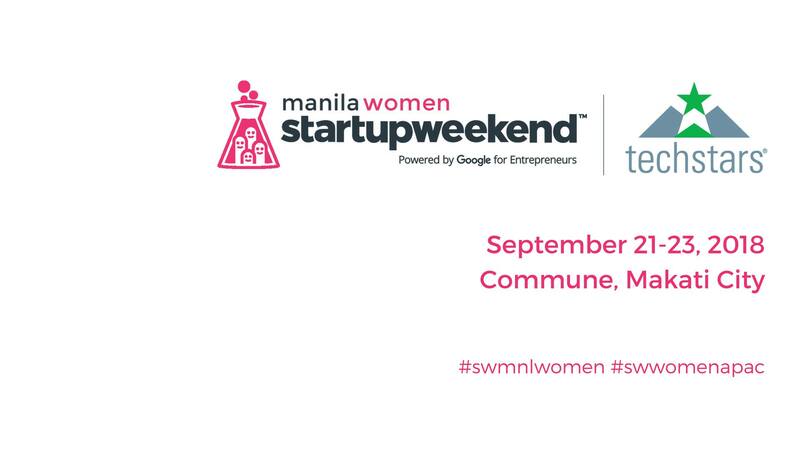 #SWMNLWomen details will be announced soon. Stay tuned!